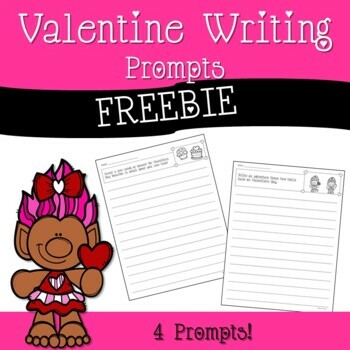 4 Free Valentine Writing Prompts for students to write creatively. Choose 1 or all 4 to spark some interest in students to pick up a pencil and begin writing. 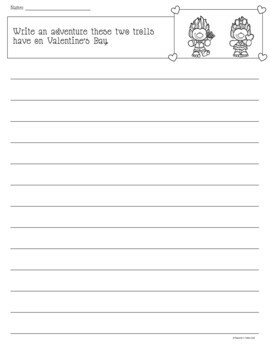 Their creative juices will be flowing when they read these cute Valentine prompts and pictures. These prompt are ready to go! Just print and write. 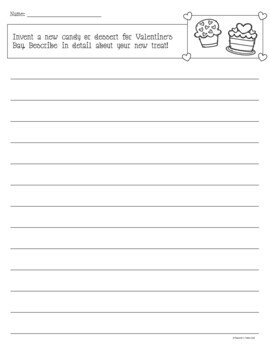 Use these pages for your writing lesson, morning work, early finishers, writing centers, homework, or as an exit ticket!